Symphony OS is trying to get us to "Forget what you know about desktop Linux..." and perhaps with their new operating system, they may have a few takers. 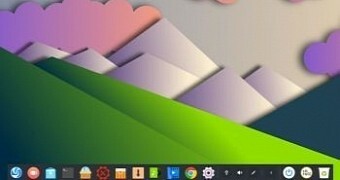 Indeed this is the most unique Linux desktop I've sampled and even in the early stages one can see they are really trying to accomplish something different. It really has been a long time since the word "innovation" was used in its true sense of the word, but this time it can accurately apply. At the boot screen one is greeted by a graphic of one of those "Hello, My Name is..." sticky nametags. lol Who thought of that? ...a wonderfully original start. 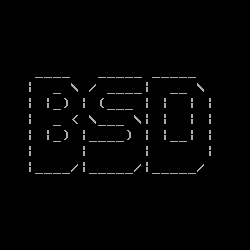 Many of the F3 boot options/cheat codes don't apply, such as the "experimental Kernel 2.6" as it's no longer experimental and no longer optional. It's default. Another example is the choice of window managers as not only is FVWM default, but the only one available. Using KNOPPIX, hardware detection is as always fairly accurate and complete. My network connection was setup using dhcp and the sound card tried to play the startup sound. It crackled as it cut in and out. After boot one is greeted by an attractive boot screen with an unobtrusive black background and a professional Symphony OS logo. Underneath the hood, Symphony OS is based upon KNOPPIX, so nothing extraordinary there. There must be a dozen of operating systems based on KNOPPIX, which derives from Debian. Symphony comes with it's own Package Management system called One Click, which is not a particularly new concept as many distributions have a form of package management that can download and install new applications. What is groundbreaking is Orchestra. To quote their own words, "Orchestra is Symphony's application environment. This set of programs and tools allows programs composed of just HTML and Perl to run as local GUI apps. Anyone who writes Perl CGI scripts will feel at home writing Orchestra applications. Orchestra will be used extensively in the Symphony OS." They further describe Orchestra as being "made up of two main parts, a localhost only http server and a slimmed down mozilla renderer." This is actually where the rubber meets the road. Their innovative desktop, Mezzo, is built using that framework. Again quoting the Symphony Os site, "Mezzo is the revolutionary desktop system built for Symphony. This system simplifies and organizes the desktop environment" by disposing "of standard concepts like 'The desktop is a folder' and nasty nested menu systems that are hard to navigate and harder to manage and instead presents all needed information directly to the user via the main desktop and four desk targets for tasks and files related to System, Programs, Files, and Trash." And this is obvious from first login. The desktop appearance is an understated and polished treat accentuated by an discrete backgound in a bluish hue of undulating circles rippling assymetrically outward from an off-centered focal point much like tiny waves of water appear upon the dropping of a small stone. Simple elegant block letters spelling out Symphony Operating System lie below a nine panes or panels. This is where mezzo will place menus, applets, or info. The default or starting desktop contains a menu in the upper left pane containing "Favorite Programs" with the items 'Web Browser', 'Email', and 'Instant Messenger'. Double clicking Web Browser opens Mozilla Firefox to a simple Google search start page. This in itself is unique in that most operating systems set the default start page to their site. Email opens Mozilla Thunderbird and Instant Messenger opens Gaim. The most significant and notable difference is Symphony's use of the four corners of the desktop to store clickable "menus". I use the term loosely as it is opposed to using a nested type of menu to which we are all accustomed. Symphony seems to follow the philosophy that folks have a hard time following nested-type menues. Given this, clicking upon one of the corner icons brings it's clickable menu to the desktop. Termed "Action driven Corner Targets", Symphony hopes their desktop arrangement is simple, logical and organized. "The upper left is for hardware devices and settings, the lower left is for programs, the upper right is for documents and document locations, and the lower right is for trash." Clicking on the upper left "Hardware devices and settings" icon opens the mountable (and mounted) devices list, background configuration, and shutdown menu. Clicking on Background Picture brings up the dialogue to set the wallpaper. Clicking on a mountable device mounts that device and opens Rox file manager at that location. Clicking the shutdown menu item does as one might imagine - it brings up a shutdown, reboot, cancel dialogue. Choosing that opens a dialogue and clicking either reboot or shutdown brings one out to the terminal, is prompted to remove the cd, instructed to close drawer, and hit enter. On the upper right side is the documents and document location menu icon. Clicking upon it opens a 'Tasks', 'News and Recent Events', and 'Favorite Locations' menu. Most of these menu items are still inoperative at this time, but the groundwork is in place and one can see where they are headed. In the lower right is the Trash icon. Also still inoperative, I imagine it will one day open Rox file manager to your deleted items for removal from Trash or delete permanently. In addition the desktop is quite unconventional in another area. One can't seem to drag and drop files or save to their desktop. In fact, no other icons ever appear. No icons appear when installing applications, or links to newly inserted usb storage. Instead these types of items seem to file themselves under one of the four corner targets as described above. One might mention that Symphony OS, as different as it may seem, is still KNOPPIX debian underneath. As such, one can su to root (with no password on the livecd) and has access to the full commandline interface and all those powerful tools. I checked for my most commonly used commands and all were available. In the home directory one finds the mezzo desktop configuration directory. In that directory is the desklets directory, desk-settings file, favloc file and the favprogs file. Editing this files by hand and restarting the desktop didn't seem to change anything as of yet, but I imagine in the future the menu items for editing these file will work and be taken into consideration upon login. Other folders of interest in the home directory are Documents, Music, Pictures, and tmp. Thus concludes my Sunday afternoon at the Symphony. I had a wonderful time and hope to attend again. Symphony is still in alpha, so many things did not yet work. But the livecd provides a wonderful (and teasing) introduction to some of the features to be included in subsequent releases. I, for one, will be checking Distrowatch and Symphony's site for new releases often. I'm extremely excited about this project. I congratulate Symphony for their original thinking and the courage to implement it. As always, Screenshots in the gallery. Many others can be seen at Symphonyos.com. There are currently 1 user and 402 guests online.